New 4K restoration and sound mix! "For me, the film is like music or a landscape: it clears a space in my mind, and in that space I can consider questions." "Wings of Desire, more than any of my films, was a sheer gift. I was given this film as a gift from this city." Wings of Desire is one of cinema's loveliest city symphonies. 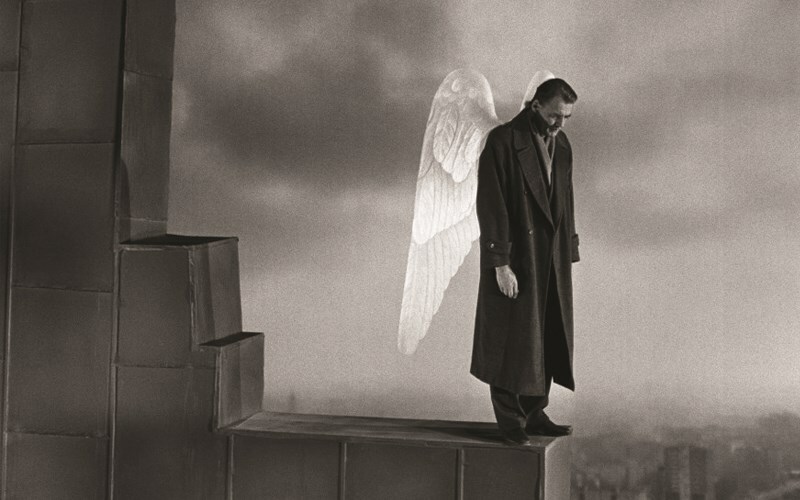 Bruno Ganz is Damiel, an angel perched atop buildings high over Berlin who can hear thoughts - fears, hopes, dreams - of all the people living below. But when he falls in love with a beautiful trapeze artist, he is willing to give up his immortality and come back to earth to be with her. Made not long before the fall of the Berlin wall, this stunning tapestry of sound and images, shot in black and white and color by the legendary Henri Alekan, is movie poetry. And it forever made the name Wim Wenders synonymous with film art. New 4K restoration with 5.1 sound provided by the Wim Wenders Foundation and supervised by Wim and Donata Wenders. Funding provided by Medienboard Berlin-Bradenburg and the FFA, and by the French CNC.